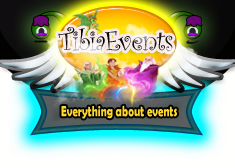 Which tibia event do you like? All of them that force people to work together! Comment To be nobody but yourself--in a world which is doing its best, night and day, to make you everybody else-- means to fight the hardest battle which any human being can fight; and never stop fighting. Your pets are adorable! I look forward to seeing all the entries! Congratulations TE! That's a lot of people!